You are here: Home / 2018 Show Archive / Animals Today February 10, 2018: Canine influenza. Plastic straws and the oceans. Swim with dolphin programs losing popularity. 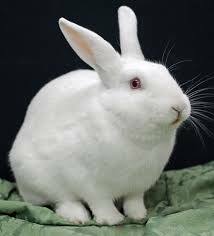 Rabbit welfare and pet rabbits. Peter first welcomes Dr. Robert Reed, who discusses many key points about canine influenza, or dog flu. This condition is not seasonal, and often causes local outbreaks. And, people can carry the virus! Reed also tells us which dogs should receive the vaccine. Reed is Medical Director, VCA Rancho Mirage Animal Hospital. February is Adopt a Rescued Rabbit Month, and so Lori then welcomes Anne Martin, PhD., Executive Director of House Rabbit Society. Lori and Anne begin by talking about the many joys of living with one or more pet rabbits. They continue discussing some of the serious rabbit welfare issues including overpopulation (they are the third most surrendered animal to shelters after cats and dogs), rabbit fur, rabbits in testing for cosmetics and household products, and rabbit meat.